n 2008 David DuByne helped start and run an algae biodiesel company, Dao Energy, LLC, in Chengdu city of Sichuan Province, in western China. Their concept was to use low cost labor and materials within China to mass produce recyclable floating bag grow-out units on fish farm water surfaces, theoretically driving down installation costs to around $4-5 dollars per square meter. “Our company started off explosively, straight to the moon!” says DuByne. “We had so much interest from everyone we contacted—government officials, the Sichuan University Biology department and of course Tongwei, where we were going to put our bag grow system on their fish farms in North Chengdu. David’s six years in China have given him the chance to experience social issues, economic trends and business norms that are complex and not easily understood by Westerners. He now lives in Taipei, Taiwan, and works with AUK Contractors. He is also in the process of starting a new website called Oilseedcrops.org that will feature 15 next generation biodiesel feedstock land plants that provide fuel and food, as well as a section on algae. 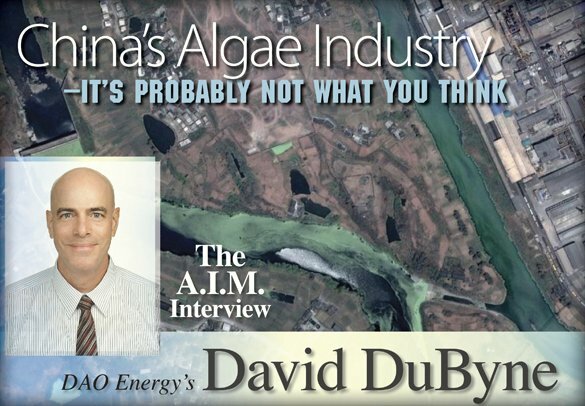 We interviewed David recently on his personal experiences, and opinions regarding the opportunities and hurdles involved when an American company in the algae world looks to do business in China. QWhat do you find unique to the Chinese algal industry? AThe ease of meeting high level officials with a single phone call, low labor costs and plentiful recyclable materials to construct machinery that could be customized within days from endless factory sources. Everyone and everything has a price in China and can be bought. Westerners will surely find the Chinese culture unique in their ability to get work done with little or no technology. There is no real algal industry in China yet, only a few startup companies and some university research labs searching for the best strains of algae for oil production. There will probably be nothing very unique or innovative about the Chinese algae industry as most of it will be copied or pirated from the west. Chinese are masters at learning vast amounts of information on paper and reciting it back word for word, but when it comes to innovative and creative thought, China’s solution is to copy to stay competitive. QWhat role does the Chinese government play in building this industry? AThere is a saying in China, “Government is God.” The authoritarian structure of the Chinese government makes it so. An individual or company’s relationship with the government is one of the most important relationships in China. It is termed “Guanxi” and if a company does not have good relations with government officials it will be difficult to move forward. Guanxi is accompanied by “gifting/bribing” and preferential business relations. If you are under-capitalized that will be problematic because if officials in power positions can’t directly benefit, they won’t bother lifting a finger. If you think Chinese officials will proceed with algae to help the country, out of patriotism, you are thinking of 1950’s Mao era China. Now, in “modern” China, its pay for play. Government ministries play an essential role. For example, the Ministry of Environment, Ministry of Natural Resources and Ministry of Energy all must be consulted and “gifted.” That is at the national level, and then you have a band of Provincial officials that only want to be involved if it benefits them directly. This layer cake extends down to the local official who showed up while the local farmers we hired to collect algae for us we were gathering wild algae from a pond in the countryside. There was a dispute over a “collection permit” fee. Ears and eyes are everywhere, which goes back to Guanxi and favoritism by passing along information in the local hierarchy. As we went through this process there seemed to be a disconnect getting to the last person up the ladder to “gift” in a ministry. When we thought we had met everyone who was to be involved, a new official from a different ministry would appear. 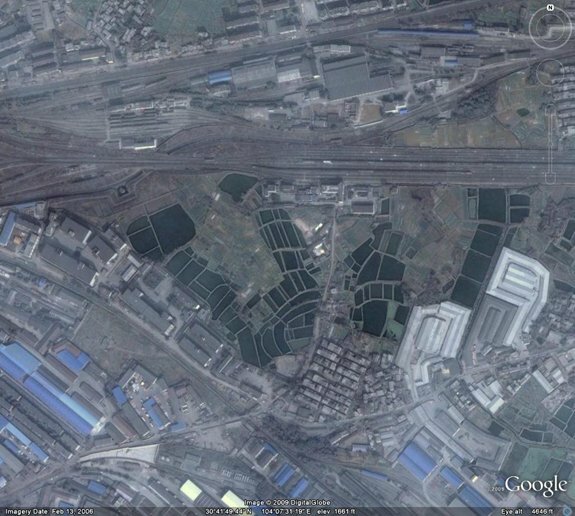 QSo how do you see a modern algal industry developing in China? AIf the Chinese government makes a serious commitment to the algal industry, in the beginning it will probably be heavily subsidized by the central government – which will make the level of cooperation more unified between private sector and government research institutions than in Europe or the US. Following that, once China perfects some type of technology (probably copied and reverse engineered,) mandatory use of the technology would be enforced by the government nationwide to produce algae derived biofuels. Since China is a one party system, things will be expedited and put into place quickly if chosen to do so by the central government. Even though prices are rising, basic materials and labor costs in China will still be relatively cheap compared with western countries. As this industry is further developed, preference for domestic companies will take hold and protectionism will be put in place. The only way in from that point forward will be a joint venture (JV) with a Chinese entity and the foreign partner will pay every expense along the way. Intellectual property rights are a serious issue, especially if machinery or methods are tested in China. By agreeing to a JV you are saying to all involved “what is mine is yours.” There is no separation of I.P. from the Chinese rationale. 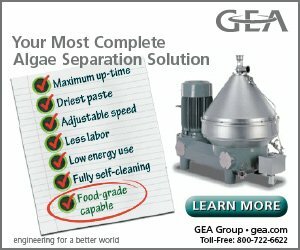 After this unfolds, Chinese companies with Chinese government support will be able to manufacture and export their less expensive copies of dewatering, cell rupturing, growth system technologies or any other technology unique to the algal industry across the globe. If the national government decides it’s going to develop the algae industry the chances of success are high. With 100+ million hectares of aquaculture water surface available for floating bag cultivation systems, the sky is the limit – and when the Chinese go big, they go all in. Chinese people are very adaptable and flexible and westerners may be surprised by some of the techniques for acquiring success at any cost. QWhat are the entrepreneurial opportunities there for both Western and domestic algae companies? AFrom the Western side, $20 million USD would open doors and get the right people involved in a joint venture. We think in the future there will be a lot of potential for local Chinese businesses supplying components for a localized Chinese algae industry. An overpopulated, resource starved, China is already hungering for biofuel, but with limited land and limited feedstock they have few alternatives except more imports or algal fuels. There are just too many mouths to feed to use conventional oil seed crops that provide food, such as corn and soybean, as motor fuel. Heavy industries such as coal fired power plants, steel and cement plants can benefit from carbon sequestration as a revenue generator. Local Chinese businesses can be involved in services surrounding and supporting the industry with a western JV partner for logistic and developmental support. One of the most important things to keep in mind is: A single cell of algae is considered a Chinese natural resource, much like a forest. And using a single cell to grow a batch is considered using a Chinese natural resource to begin the process. Therefore a 100% foreign owned company is forbidden from growing algae for fuel. We were not informed of this technicality until after we were at the planning stages of covering several hectares of fish farms in northern Chengdu with floating bag grow out systems. After that letdown, we then thought of importing our own strains, which is also forbidden. That leaves the only option – a joint venture with a Chinese partner. When the natural resource ownership issue is overcome, we will see that with government support and mandates, algae companies will become successful. In reality, if every square meter of aquaculture water surface space were utilized to grow algae for fuel, China could export oil. There is truly limitless opportunity if the right set of circumstances evolves. 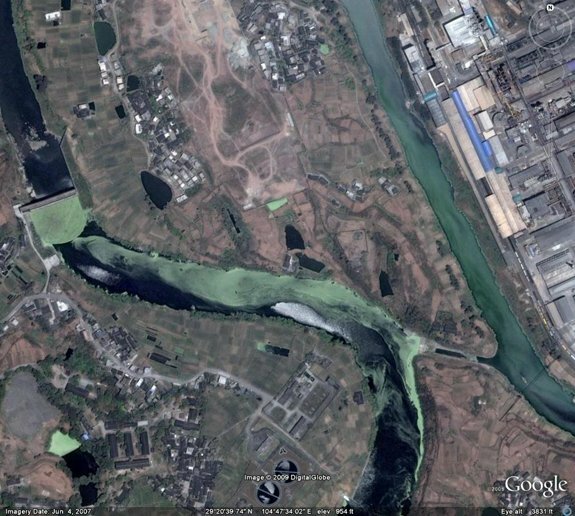 A second approach will be for China to utilize the currently wasted natural algae blooms in the nation’s waterways, reservoir systems and coastal areas. These blooms themselves could provide a large amount of feedstock for conversion to fuel. To date, the Chinese have put a lot of effort into developing their biogas, solar, wind and hydropower industries, but algae production for liquid fuels has been lagging behind the rest of the world. QWhat are some of the strengths and weaknesses of algae cultivation in China? AThe amount of aquaculture water space is an advantage, as well as steel companies seeking a “Green Steel” reputation that want to integrate this type of technology. We also saw an unexploited opportunity for wild harvest, as the chemical runoff from a multitude of factories creates impressive algae blooms in every reservoir and river system throughout the country. But, overall, disadvantages and weaknesses outweigh any advantages. The lack of knowledge and research compared to the United States is huge. Necessary technology and technical skill is very limited or unavailable. Chinese society in general does not value the type of individuality that promotes creativity and innovation. Americans generally think change is good, but the Chinese are usually resistant to change, as we were repeatedly reminded by many of our Chinese interns when dealing with the obstacles in the government bureaucracy and business world. QWhat are the popular techniques being used for cultivation, harvesting and extraction there? AWe only saw universities and government research institutions cataloging and recording species for lipid and carbohydrate content. Besides the research facility at Qingdao and a small program at Sichuan University, there wasn’t much going on in the country. We constructed a few incubator units to grow up a single species and that alone was enough to get us a meeting with several department heads at Sichuan University. Whatever you bring to the table will be new and innovative. We spoke to a few local officials in Zigong about wild harvest from the area’s reservoir and river in town, but it never went much past talk. We still believe a combination of cultivated and wild harvest algae programs will be the future in China. QWhat is the demand for biofuel products, as opposed to other co-products from algae? AWhen we first started searching for investors, the Chinese venture capitalists we had meetings with were interested in carbon credits – algae biodiesel was a secondary concern. This was before Copenhagen, and the manufacturing world was expecting some type of international carbon trading platform. There is not yet any commercial scale algae industry in the country. The entire time we were in China we never saw anything on the market from algae products except food supplements. Most of the Spirulina and Chlorella was from Taiwan, USA or NZ. QIs genetic engineering of algae a factor, and is it controversial in China? AGeneric engineering of algae for biofuels is not common and most definitely is still in its infancy in China. As much as the Chinese people need alternative liquid fuels to help balance out the increasingly high cost of petrol, there is not much awareness or knowledge of algae biofuels or any other alternative fuels at this time. Most of the common people in China have never heard of genetically modified organisms. Although they do have GMO rice and corn, it is not widespread. But if the government decides it is time for GMO, or other genetic engineered products, the people will have to accept it. 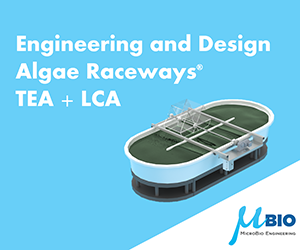 This is another untapped resource for western companies with the expertise to modify algal strains. These types of biotech companies can enter China as the only player in a province or with limited competition nationwide. QWhat is the most successful algae operation in your area and what are they doing well? AOur “trusted” partner Tongwei, is doing well with their algae breeding program. They only “took” the idea of algae biodiesel. We never disclosed our grow-out bag system design, so they are still stuck in the algae strain phase. When we first approached Tongwei they thought we were coming to help them remove algae blooms from their fish farms in northern Chengdu. That gives you an indication of their movement from A to B.
Sichuan University has a small algae program and we had two great post grad students working with us. In the university lab they were able to produce a few hundred milliliters of oil. The New Zealand Company, Aquaflow. was working on a deal with the local governments of Sichuan and Shanghai. The details of their meetings we’re not made public. It was rumored that they reached an agreement for mutual cooperation in research and development, as well as a lease agreement with the Sichuan government for the use of machinery to be used for sewage and water treatment, and algae production. One other company around at that time in 2008 when we were in Chengdu was PetroSun. They joint ventured with Shanghai Jun Ya Yan Technology Development and were building an algae farm in China. I read they had to split profits 50/50 in exchange for propriety technology and expertise. Who benefited most from that deal? 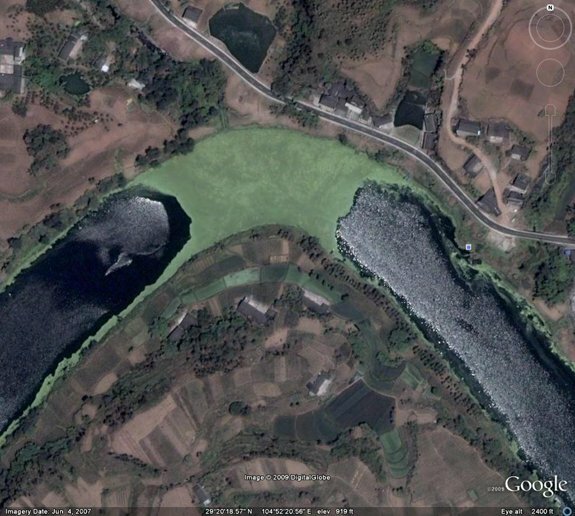 QHow do you compare or contrast algae developments in Taiwan vs. China? AIn Taiwan, algae research is directly financed by the government. But throughout China, individual companies are on their own to joint venture and conduct research projects, which is the main difference. 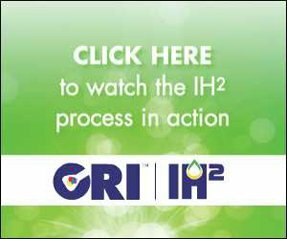 As an example, Taiwan’s Industrial Technology Research Institute (ITRI) received an eight million USD grant from the Bureau of Energy under the Ministry of Economic Affairs and then unveiled their new biofuel system – which is reported to be a continuous extraction process with densities in sea water at 120-150 grams per liter with a 50% oil bearing strain. Additionally, in southern Taiwan, the Chinese Steel Corporation in Tungkang is collaborating with National Cheng Kung University to develop a photobioreactor sequestration system for CO2. ITRI itself is working closely with Taiwanese universities in development of photobioreactor systems, belt screen harvesting technologies and supercritical extraction systems. 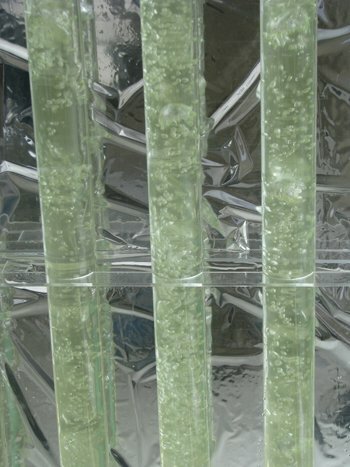 National Alliance for Advanced Biofuels and Bio-products (NAABB), through Pacific Northwest National Laboratory, has recently entered into research collaboration with ITRI in new membrane technologies for algal harvesting systems. The new news from China is Algae Tec Ltd. announced that it signed a binding memorandum of understanding for a 50/50 equity joint venture with Shandong Kerui Group Holding Ltd. in Dongying, Shandong Province. That is private; the closest you get to the Chinese government direct support is the Shandong Provincial Academy of Sciences cooperation agreement with Chosun University from Korea to set up a 1,000 square meter grow-out area for the Qingdao Institute for Bioenergy and Biotechnology with their 200-member research staff. China is still far behind in research and R&D. 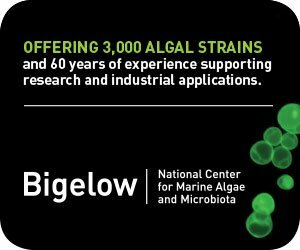 QHow would you advise an American company on the successful ways to do algae business in, or with, China? AAs far as the algal industry is concerned China has everything to gain and the United States has everything to lose. The United States algal industry should be in a highly defensive and protective position. The Chinese are very good at bargaining and negotiating. If the Chinese feel they can’t gain an unfair advantage they won’t do business with you. The Chinese are clever businesspeople and great copiers, and if you’re on Chinese soil, your company is at the mercy of their business environment. There are lots of stories of business gone wrong in China. As a company spending time and money to develop proprietary technology, you have to ask yourself if this is the country you want to give away your technological advances to in a joint venture? The United States algae industry has great advantages in research and innovation, but many unorthodox strategies and tactics are needed to survive and flourish in China. The U.S. Department of Commerce has a Commercial Service in China that recognizes the importance of emerging U.S. biofuels technologies, such as algae biodiesel, and offered us insightful ways to prepare ourselves. The Office of Energy and Environmental Industries (OEEI) at the USDOC would also be a good resource to begin your endeavors. Another reminder, security at your overseas facility should be a high priority, namely a strong and secure computer network. As you may already know, the Chinese are expert hackers. We found in China that there are no ease-dropping laws; your emails or phone calls can/will be monitored and recorded. You will probably be followed at times, especially if you’re doing cutting edge technology business, and expect your interns or employees to be of questionable loyalty. As our Chinese friends would say “there are no secrets in China.” If you’re managing an algae company in America you should definitely develop all your technology in the United States and, if you choose to have it manufactured in China, follow this advice: Do not manufacture the entire unit in one location/factory. Have it separated into individual components; piece it out to different factories with no affiliation to one another, preferably in different provinces. Then re-import the separate pieces into the USA from several different ports out of China and assemble the unit on your home soil. Be forewarned without adequate protection – your product will certainly be copied or reverse engineered and sold in Asia or exported to other countries without your knowledge. Even if you do discover your technology being manufactured illegally, expect a long drawn out battle of Guanxi (relationships) that runs generations deep. Meanwhile the culprits will just move their facility to another province and start manufacturing again while your staff is bogged down a thousand kilometers away. Contracts hold little value and are termed “Zhi Laohu” or paper tiger. The agreement and terms look incredibly solid on paper, but in the real world when it comes down to it there is little recourse for western companies. Contracts are only valid if it benefits the Chinese side. The legal system is still in its infancy and continues to revolve around “gifts” and Guanxi to get the desired verdict for either side. With that said, if you can buy your protection, the opportunities are endless as there is no established algal industry yet in cultivation or wild harvest. All possibilities are feasible with the right amount of capital and government connections. And remember to bring an endless ATM card and encryption technology.